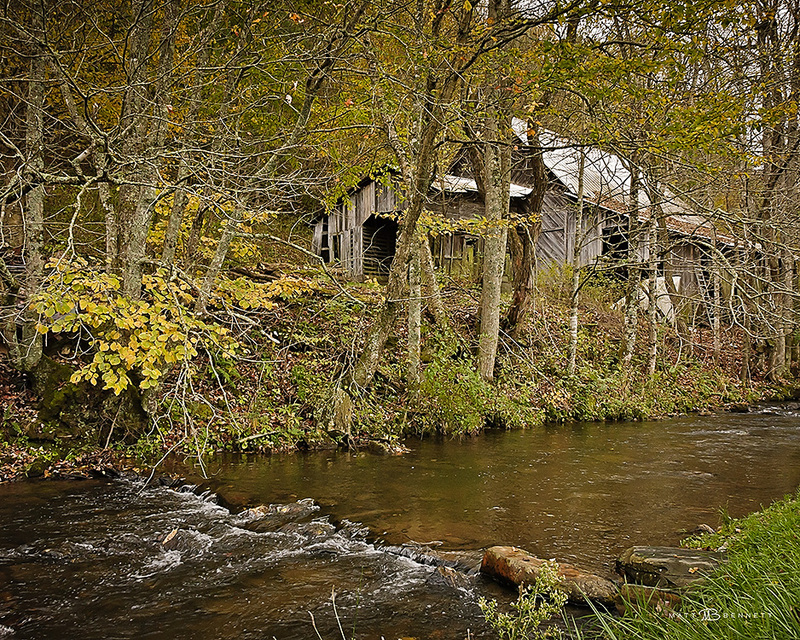 This barn is tucked away in the woods just down the hill from the Todd General Store in Todd, NC. The creek in the foreground is a tributary of the New River. 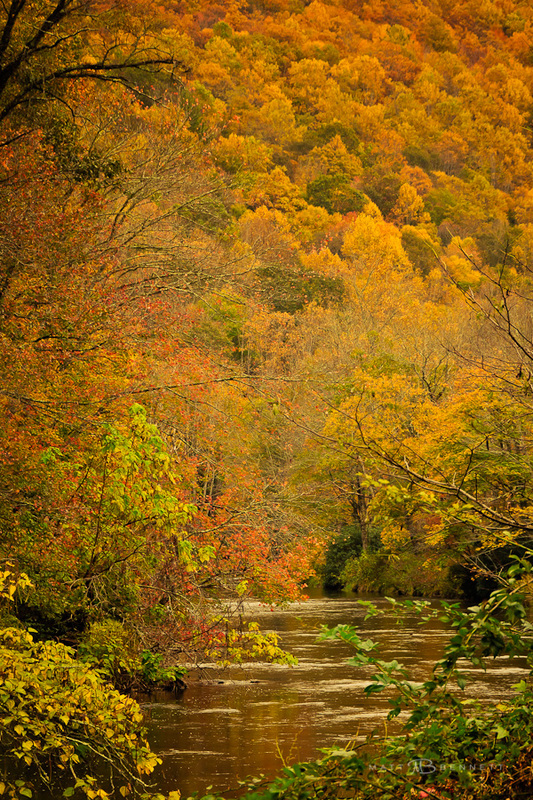 Above is an image (also in Todd) of the New River. This spot is just down stream from where the first image was taken. The first two photos were taken in the fall of 2009. Finally, here is an image from 2010 taken from summit of Morrow Mountain. Fall is my favorite time of the year. I love watching the leaves change, giving us a great show of color. This year seemed a little more lackluster to me than in years past. As a result, I got few if any images this fall. 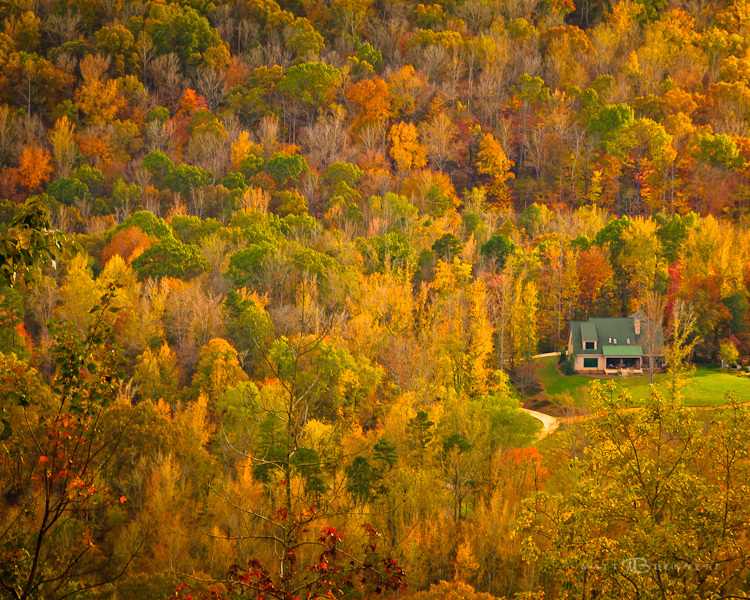 This entry was posted in Fall foliage, NC Mountains, Thanksgiving by Matt Bennett. Bookmark the permalink.